Our Shopify contact us form app – suits any main needs in receiving feedback and orders from clients of your site. 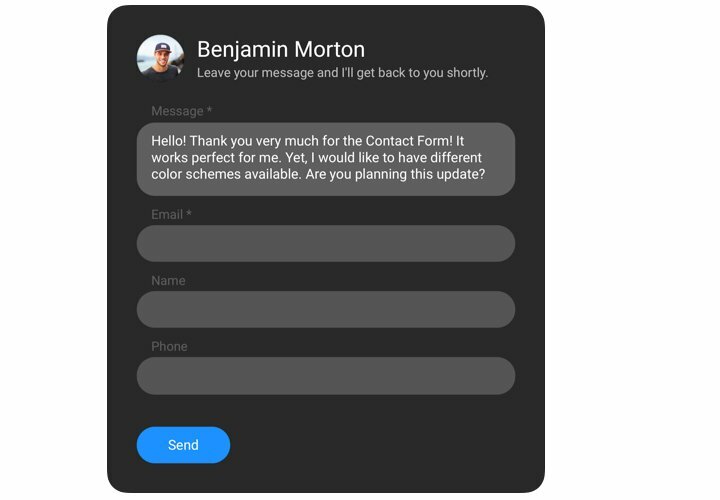 Install the needed fields for filling in, choose the desired template and customize the interface, to encourage your customers even more to write order for services of your company. Get testimonials, get requests and send answers to the questions of your website users! Lift the quantity of probable customers. 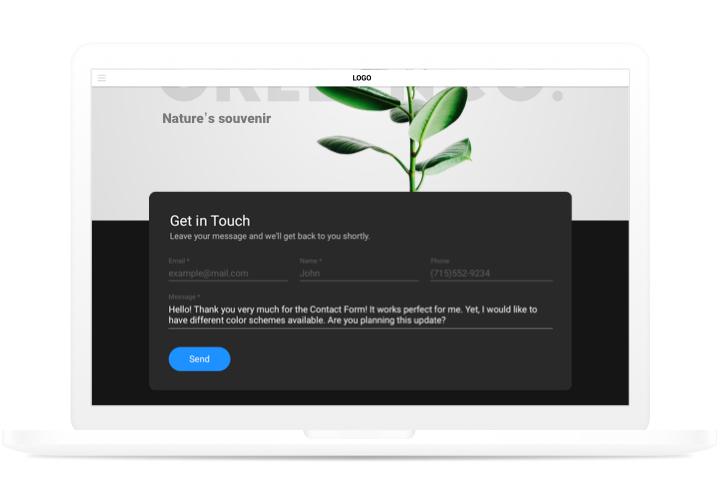 Keep permanent interaction with potential clients night and day using a convenient form on your website and find users who are ready to order and buy. Get to know customers better. Questions, suspicions, disbeliefs and various opinions of your clients about your offers or services give your more chances to understand the demands of your site visitors and successfully apply a concept of your business extension. Safeguard your mailbox from spam. Don’t allow bots to load your e-mail box with junk mails. 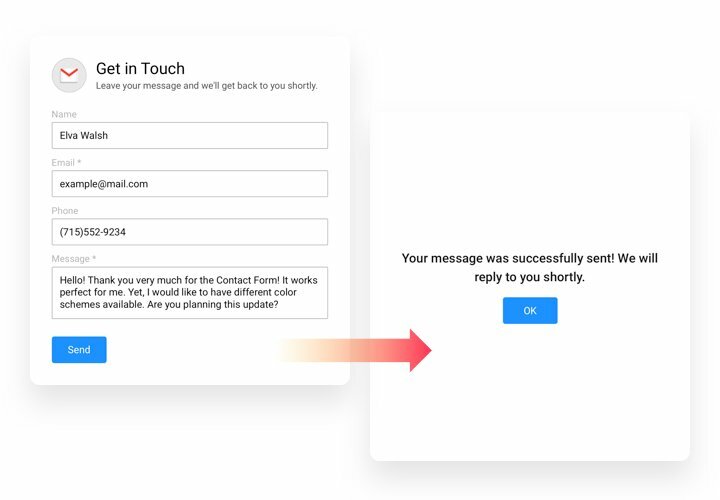 Our form is equipped with Google reCAPTCHA to safeguard your e-mail box from automatic spamming and bots. 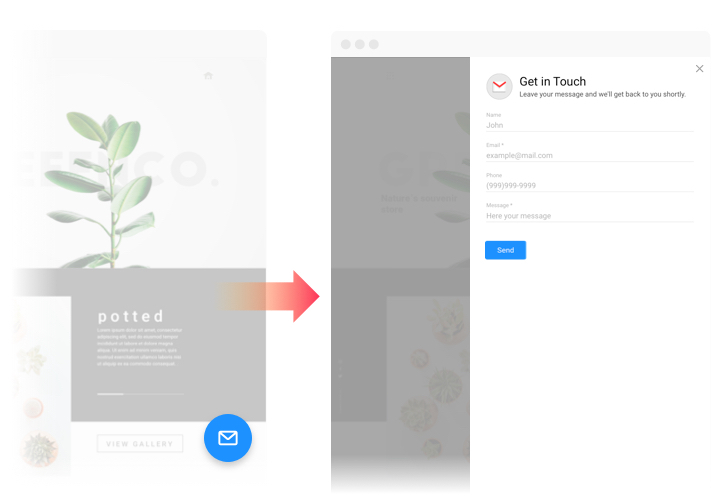 Follow our instruction, to embed contact app on your site in no time. 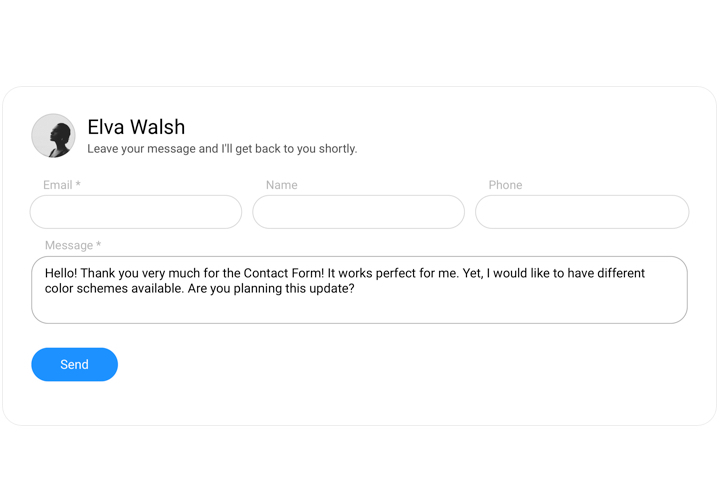 It’s unnecessary to have experience in development to install our contact form. Full setup duration is only 3 minutes. Click «Get» button, to install the app on your Shopify store. Adjust the data of the app: add form text and adjust its appearance. Get your app code. Add the app to the page. Enter «Pages» tab and choose the page where to add the app. Next, embed the code in HTML format and save the edits. Open the site, to check your results! Having any hardships while applying the tutorial or shaping your form? 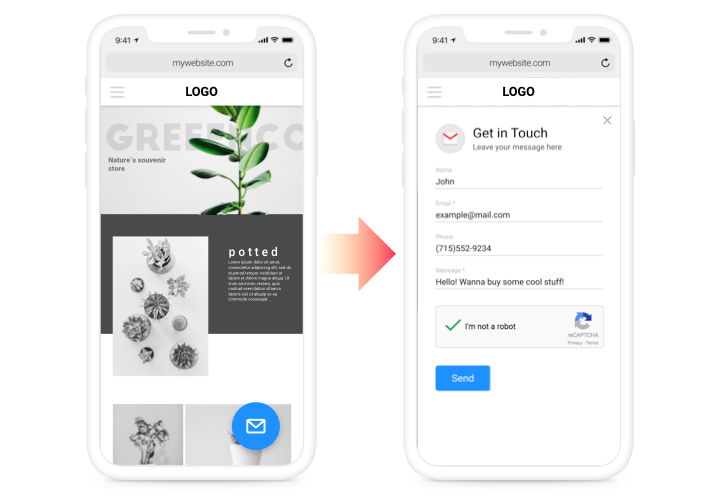 It may be useful to follow a detailed tutorial «How to add Contact form on a Shopify website» and try to embed it on your own or get in touch with our support center with thorough description of your issue. Our team will be there to advise. Try to create Shopify contact form absolutely free!